Continue reading Rosh Hashana Greeting Card from Israeli Intern. 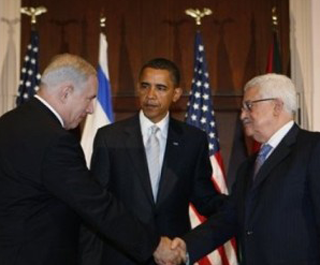 "APN congratulates President Obama and the leaders of Israel, the Palestinians, Jordan and Egypt for coming to Washington to re-launch Israeli-Palestinian direct peace negotiations. This week's events are just the first step in what will be a difficult effort that we fervently hope will deliver results." Continue reading APN to Mideast Negotiators: Focus on Peace, not on Process . "Today's attack is a senseless act of violence whose likely purpose is to derail the peace talks that are set to get underway in Washington this week. There are no doubt self-appointed spoilers who want to force both Israelis and Palestinians to spurn negotiations in favor of continued conflict. They cannot be permitted to succeed." APN is America's leading Jewish organization advocating peace for Israel. You might ask why America's leading Jewish peace organization isn't triumphantly celebrating the resumption of direct peace talks between Israel and the Palestinians. Americans for Peace Now's response is more measured. Not that we don't savor the moment. Of course we do. Even after all the failures and disappointments of the past, it's exciting to see the leaders of Israel and the Palestinians sitting down to negotiate peace, face to face, and to do so under the auspices of a US President who clearly remains committed to achieving peace. At this time, we are less interested in celebrating the opening of talks itself, and more interested in making sure this week's Washington gathering is not merely another ceremony, but the beginning of a process that will yield real results. Continue reading A measured welcome to new peace talks. My new piece posted (late) last night on Foreign Policy's Middle East channel. With the resumption of Israeli-Palestinian talks this week and the approaching September 26th expiration of the settlement moratorium, the settlements issue is set to once again take center stage. Last week, in an otherwise excellent article, former US Ambassador to Israel Martin Indyk suggested that this need not be a crisis. He stated that "there could be a workable compromise if Mr. Netanyahu restricts building to modest growth in the settlement blocs that will most likely be absorbed into Israel in the final agreement, while offering changes that would make a real difference to West Bank Palestinians..."
The following day, Haaretz's Aluf Benn offered a similar observation as he laid out the popular wisdom regarding what can be expected from Prime Minister Netanyahu. Benn stated that "Everyone agrees the sweeping construction freeze cannot be continued and that the large settlement blocs should be distinguished from the isolated settlements beyond the separation fence. Construction will resume in the blocs and be frozen in the isolated settlements--or continue on a small scale." This narrative is highly attractive to analysts and pundits because it is simple to articulate, sounds reasonable, and offers an easy answer to the question: how can Netanyahu possibly continue the settlement moratorium? The answer? He doesn't have to. Unfortunately, this narrative has two huge flaws. Continue reading My new piece in Foreign Policy: Glib talk about settlements harms peace efforts . "The unfortunate decision of the theater managers to export the finest plays being staged in Tel Aviv, Haifa and Beer Sheva to none other than the largest settlement built by Israel--caused a courageous group of artists and actors to stand up for their principles and refuse to perform in the territories." 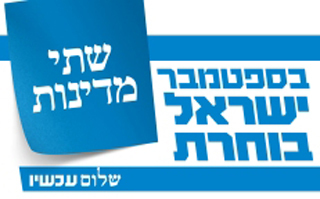 Ha'aretz: "Netanyahu: State should not fund any theater that boycotts Ariel"
Walla: "Oz, Yehoshua and Grossman Support Theater Workers' Protest"
Continue reading Ma'ariv: "Occupation is Not an Act" by Yariv Oppenheimer, Peace Now Secretary General. This week marks the 400th edition of Hard Questions, Tough Answers with Yossi Alpher. Continue reading Hard Questions, Tough Answers with Yossi Alpher- August 30, 2010. New York Times: "In Israel, Settling for Less"
Continue reading New York Times: "In Israel, Settling for Less". Jerusalem Post: "Peace Now holds rally near Talmon backing freeze"
Dozens of activists attended a rally organized by Peace Now near the Talmon settlement, between Modi'in Illit and Ramallah, on Thursday, to demonstrate their support for an extension of the settlement freeze that is set to expire on September 26. Following the JPost article is: Ynet News: "Leftists protest against resumption of West Bank building"
Continue reading Jerusalem Post: "Peace Now holds rally near Talmon backing freeze". Jerusalem Post: "Drastic fall in e. J'lem home approvals"
The approval process for new Jewish homes in east Jerusalem has slowed dramatically since March's diplomatic crisis during Vice President Joe Biden's visit, according to data made available to The Jerusalem Post by Ir Amim and Peace Now. But several Israeli officials denied any deliberate slowdown. Continue reading Jerusalem Post: "Drastic fall in e. J'lem home approvals". While most experts and pundits advise an incremental approach to an separate Israeli-Palestinian peace, Marwan Muasher, Jordan's former foreign minister and ambassador to Washington and Israel supports a much more ambitious regional approach, which harnesses the Arab League's Peace Initiative to the Israeli-Palestinian peace efforts. Continue reading AUDIO - Muasher says 'Go Regional'. Golan, a Peace Now founder and Executive Committee Member, is the former head of the Department of Political Science at the Hebrew University of Jerusalem and currently professor of Government at the Interdisciplinary Center, Herzliya. What we are experiencing here in Israel with regard to the attack on academia and civil society may resemble more the Soviet Union than America of the '50s. Continue reading Jerusalem Post: "Is it only McCarthyism?" by Galia Golan. Peace Now will hold a demonstration on Thursday, August 26 outside the West Bank settlement of Talmon. It will be a strong stand against the calls - coming from the Israeli right - for Israel to immediately build in settlements after the moratorium on new settlement construction expires next month. Continue reading Settler violence won't stop tomorrow's Peace Now rally. Alpher answers questions about the opening of direct peace talks between the Israelis and Palestinians and the appointment of Major General Yoav Galant as the next IDF chief of staff. Continue reading Hard Questions, Tough Answers with Yossi Alpher- August 23, 2010. Boston Globe: "Stakes are high in Mideast peace talks"
"Direct talks are not an end in themselves," said Americans for Peace Now President and CEO Debra DeLee. 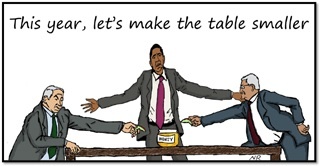 "The Obama Administration must now live up to its pledge to hold both parties accountable for their behavior. The stakes are high. Failure could bring about a new round of bloodshed and jeopardize American interests." Following Boston Globe article is: Jerusalem Post: "Clinton announces direct talks to resume on Sept. 2" & Ha'aretz: "Netanyahu welcomes renewal of direct peace talks with Palestinians"
Continue reading Boston Globe: "Stakes are high in Mideast peace talks". Direct talks are coming -- don't let the cynics win. Hillary Clinton just issued a formal invitation for Israel and the Palestinian Authority to begin direct peace talks on September 2nd. This is good news. It presents an opportunity for progress towards peace. Now the real hard work must begin. Direct talks are not an end in themselves; their only value is as a means to achieve an Israeli-Palestinian peace agreement. A strong American role is needed to ensure that these negotiations will be productive. Continue reading Direct talks are coming -- don't let the cynics win..
Washington, DC - While welcoming the announcement of direct peace talks between Israel and the Palestinians, Americans for Peace Now calls on the parties to negotiate in earnest. APN also urges President Obama to be prepared to press both parties to engage in the talks to see them succeed. Continue reading APN on Direct Talks: Kudos; Now Negotiate in Earnest. 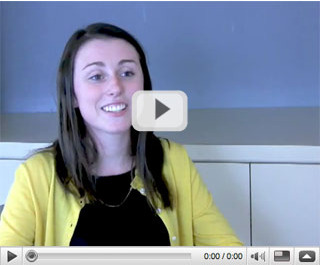 APN is accepting applications for its Fall 2010 intern cycle. We are looking for a few bright, dynamic individuals who are excited and ready to get involved in Middle East peace advocacy. Continue reading Fall 2010 Internship Program. The steady march of settlements, the rightward shift in Israeli politics, the growing sense that a conflict-ending peace agreement is impossible -- all these things are feeding some pundits' impulse to declare the death of the two-state solution as a means of ending the Israeli-Palestinian conflict. Continue reading Forward: "One Solution: Two States" By APN's Lara Friedman. APN's small study tour will take place from February 5th to 12th, 2011, and will be led by Professor Mark Rosenblum, APN founder and Israel/Middle-East Expert (see bio at the end of this entry). Continue reading APN Study Tour to Israel & West Bank: February 5-12, 2011. The Israeli-Palestinian situation today is eerily reminiscent of the situation in 2000 when plummeting expectations, coupled with events in Jerusalem, triggered an eruption that devastated the political process. Continue reading NOREF (Norwegian Peace Building Centre): "Jerusalem on the brink" by Daniel Seidemann. During the first 4 decades or so of Israeli rule in East Jerusalem, the city's Palestinian residents were subjected to neglect and discrimination. Most un-built land in East Jerusalem was expropriated and turned into settlements. They found it nearly impossible to get building permits for the remaining land. When they built without permits, they faced fines and demolitions. They encountered overt inequities in municipal services and even efforts to revoke their residency rights. But while the situation wasn't pretty, there were always lines Israel did not cross - lines that Israel is crossing today, apparently utterly unconcerned by the consequences. Continue reading A dangerous sea-change in Israeli policy toward Jerusalem. Continue reading Hard Questions, Tough Answers with Yossi Alpher- August 16, 2010. A sweltering June day at Reagan National Airport. Mariam Ashour walks to the parking lot, "freaking out in my mind," looking for someone she has never met. Noam Rabinovich sits in a car, trying to identify Ashour, with whom she has exchanged only a few messages on Facebook. Continue reading APN-ATFP joins Palestinian and Israeli as Interns. On the front page of the Style section in yesterday's Washington Post is a story about a remarkable internship program. This was no typical Washington internship. APN hosted a Palestinian student, while the American Task Force on Palestine (ATFP) hosted an Israeli student. The two worked together on joint projects, lived together, and became close friends. Continue reading Jews and Arabs don't have to be enemies. Ha'aretz: "IDF soldier on leave attacks group of Peace Now activists in Tel Aviv"
Soldier from elite Givati Brigade attacked activists passing out flyers near Tel Aviv's central train station; Peace Now to file formal complaint against soldier. Continue reading Ha'aretz: "IDF soldier on leave attacks group of Peace Now activists in Tel Aviv". Alpher discusses the broader implications of last week's Lebanese border skirmish and the meaning of Israel's decision to participate in the UN's inquiry into the Gaza flotilla incident. Continue reading Hard Questions, Tough Answers with Yossi Alpher- August 9, 2010. How will renewed settlement construction play in your hometown? Israel is considering ending the moratorium on new settlement construction in September. This would be bad for Israel and bad for peace. As Americans who love Israel, we know that ending the settlement moratorium would play into the hands of those who seek to delegitimize Israel. We need to deliver this message directly to Israelis, many of whom are not aware of the impact that new settlement construction could have on public American support for Israel. Continue reading How will renewed settlement construction play in your hometown?. Continue reading APN Legislative Round-Up for the Week Ending August 6, 2010. Israeli soldiers last week again had to chase lawless settlers on the hills of the West Bank. Continue reading Washington Jewish Week: Stand against Israel's extremists" by APN's Ori Nir. Fighting broke out this morning across the Israel-Lebanon border. One senior Israeli officer is dead, as are three Lebanese soldiers and one journalist. The details of what took place today are still emerging, but one thing is clear: Without strong American leadership events like today's could spiral out of control. Tell President Obama to engage to prevent an escalation. In 2006, we saw fighting along the Israel-Gaza and the Israel-Lebanon borders escalate into a full-on war. Today's developments - coming on the heels of an uptick in rocket fire targeting southern Israel - are eerily similar. Continue reading Tell Obama not to repeat Bush's Mideast mistakes. Jerusalem Post: "295 homes begun since freeze"
In defiance of the moratorium on new housing construction, settlers have begun work on 295 new permanent homes in the first half of 2010, according to a report published Monday by Peace Now. Settlers said the report was false. Continue reading Jerusalem Post: "295 homes begun since freeze". Ha'aretz: "U.S. group launches campaign against West Bank settlement construction"
Americans for Peace Now urges U.S. citizens to record short videos in which they will explain how settlement construction could negatively affect Israel's image in the U.S.
Continue reading Ha'aretz: "U.S. group launches campaign against West Bank settlement construction". Washington, DC - Americans for Peace Now (APN) today called on the Obama Administration to act quickly and resolutely to prevent an escalation of tensions and military action on the Israel-Lebanon border and between Israel and Gaza. 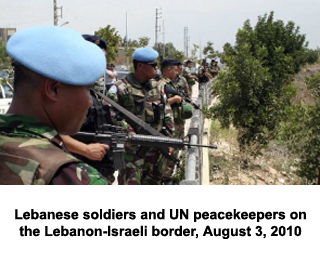 Continue reading APN to Obama: Help Prevent Escalation between Israel and Lebanon, Gaza. Israel Radio (IBA News): "Peace Now urges extending WB building freeze"
The Peace Now movement says Israel must choose between continuing the settlement building freeze -- which would lead to international support for the diplomatic process and strengthening of the economy -- or construction in settlements. According to the organization, some 400 housing units have been built in violation of the construction moratorium in Judea and Samaria. The settlement building moratorium is due to expire in September. Yesterday (August 1), Dov Weissglas - former top advisor to Prime Minister Ariel Sharon, and author of the famous Weissglas letter to Secretary of State Condoleezza Rice - published an astute op-ed in the Hebrew-language edition of Yedioth Ahronoth, Israel's largest-circulation newspaper. In his piece Weissglas suggests that on one hand the Palestinians have good reason to believe that Netanyahu is not serious about peace, and on the other that Israel truly needs successful negotiations. Weissglas - who is by no means a dove (no pun intended) - closes with these powerful words: "The outline of the possible solution is clear: the establishment of a Palestinian state, the evacuation of most of Judea and Samaria with some territorial swaps, devising a joint control arrangement in Jerusalem based on demographic principles, and the resettling of the Palestinian refugees within the borders of the Palestinian state. The present government, like any other government, will be unsuccessful in substantially altering this outline. The sooner it makes the painful decisions necessary for its implementation, the sooner Palestinian suspicions will evaporate and chances will grow for a successful outcome to talks." Mr. Weisglass, we couldn't agree more. Full Weissglass op-ed after the break (translation by Israel News Today). Continue reading Wise Words from Dov Weissglas on peace. Israel is considering ending the moratorium on new settlement construction in September. This would be bad for Israel and bad for peace: Settlement construction undermines faith in peace talks. Settlements constitute a burden to Israel's security services. They create points of friction between Israelis and Palestinians. And they drain Israel's financial resources. For these reasons, APN activists have worked together to convince Washington to press for a continuation of the moratorium. Now, it is time to focus our efforts on another important message: As Americans who love Israel, we know that ending the settlement moratorium would play into the hands of those who seek to delegitimize Israel. As part of this effort, APN is asking our activists to make short videos explaining how new settlement expansion could undermine Israel's standing in their communities. The top videos we receive will be featured in Israel starting August 10th as part of the new campaign by the Israeli Peace Now movement. Alpher comments on the escalation of violence in the Gaza Strip, the likelihood of direct talks between Israelis and Palestinians, and the relation of demographic issues to Israeli-Palestinian peace. Continue reading Hard Questions, Tough Answers with Yossi Alpher- August 2, 2010.